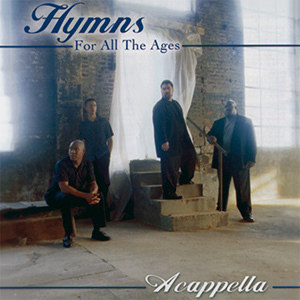 In 1995, Acappella release one of their most popular albums, Hymns For All The World. Almost seven years later, they came full circle and released Hymns For All The Ages. Twelve Hymns. Timeless. Ageless. Old and enduring yet young and fresh. Hymns for all. In reviewing Hymns For All The Ages, Contemporary A Cappella News stated, “Acappella is a master of their art. The album features contemporary interpretations of traditional hymns without embellishments. These inspiring renditions have a great groove and are a joy to listen to. This is as close to perfection as anyone can get.” And in 2001, Hymns For All The Ages was selected as the Best Religious Album by the Contemporary Acappella Society.